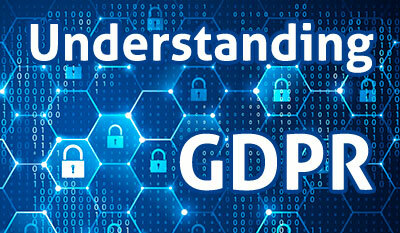 Only a couple of days to go……From the 25th May 2018, the laws around data and how it can be used is changing. The GDPR (General Data Protection Regulation), will set out how companies are obliged to review how the process, store and use personal data. Under the new regulations, companies will have to ensure that any digital communication they send out, they have been given specific consent to do so. And it isn’t as simple as simply adding an additional consent tick box. Instead, you and the company will need to make it clear exactly what data you are collection, how you are storing it and how you would destroy it if asked to. You’ll also need to record when you first collected the data, and what information they were given at the time. So how does the new GDPR rules affect print marketing? While aimed very much at the digital sphere, there are some considerations when using data in your print marketing. So the new GDPR rules won’t directly impact your print marketing, but best practice will be for marketing departments and print companies to review their current data protection processes ahead of the 25th May. Print marketing might be indirectly impacted through tougher restrictions and rules that makes it more difficult for marketers to gain access to personal data. Our role is to challenge our customers that their data has been appropriately sourced and follows all the guidelines set out by GDPR, as we have a direct legal responsibility too. We’ll also have policies in place to cover how, where we use the data supplied by our clients, along with how we will destroy it following successful completion of the print jobs. © Lamp Black Limited 2019. All rights reserved. Registered office: Landmark House, Station Road, Cheadle Hulme, Cheshire, England, SK8 7BS.